For all of known human history, the “Celestial Sphere” that surrounds us has been as important to us and our daily life as the central problem of survival and the fundamental questions of existence and meaning. For untold millennia mankind has gazed at the stars and planets in wonder, and celebrated the radiance of the Sun which brought life-sustaining warmth and an end to the mysteries and terrors of night. Within the last few centuries we have drifted further and further from this connection to the larger celestial sphere, dwelling in our hive-like networks of artificial caves, immersed in artificial daylight, blinded to the stars and planets by ever more intense public lighting. The cosmos now plays little part in the daily life of the Everyman, remaining only a problem for professional astronomers and cosmologists, and the passion of an amateur cognoscenti. Following a tradition that reaches back to the roots of western culture and civilization, they have taken mankind on a journey from the center of the Universe to the edge of the Galaxy. I will begin the tale of this journey with the ancient Greek forbears of the science, the first to break away from the mytho-religious cosmology of their ancestors, as documented in Hesiod’s Theogony and the Iliad and Odyssey of Homer (all ca. 8th century BCE). Starting in the 6th century BCE, a number of early philosophers in the Ionian city of Miletus began the break from traditional beliefs with the first attempts to formulate rational cosmologies based on empirical observations — as limited as these observations were. Philosophers such as Thales, Anaximander, and Anaximenes produced a few related theories generally describing a geocentric universe, with a flat disc Earth floating on an infinite cosmic ocean, capped by air, and surrounded by the circling Sun, Moon, and planets, all within a celestial sphere of stars. A late contemporary of the Milesians, Pythagorus built upon their geocentric concepts in his cosmology that was the first to be centered upon a spherical Earth, and surrounded by celestial bodies which moved in perfect circular motions, each of which was borne by a progression of separate spheres, with the outermost sphere being the sphere of stars. The compound motion of these spheres as they rotated around the immobile Earth was said by the Pythagoreans to produce a celestial music through their perfect harmony. The fundamental Pythagorean idea of perfectly “uniform circular motions” would be unquestioned in western cosmology for nearly two thousand years. This basic Pythagorean structure of the cosmos was later formalized sans music and mysticism in a vastly more complex mathematical model by Eudoxus of Cnidos (390 – 340 BCE). Using 27 “homocentric spheres,” he was able to describe the observed motions of the celestial bodies, albeit imperfectly. 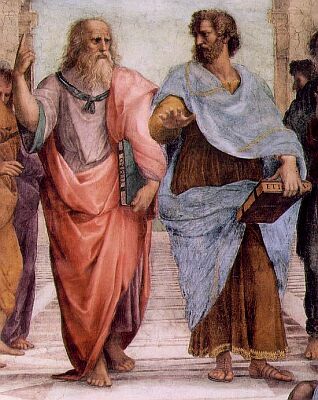 The philosophers who followed would build upon his astronomic model by adding ever greater numbers of spheres to reduce the degree of observed error, reaching a total of 56 as revised by Aristotle (384-322 BCE). Aristotle was also the first to interpret the Eudoxian system as a description of reality rather than as just a mathematical model of the celestial sphere. Various theories and hypotheses would be proposed and expounded over the following centuries, but most were built around the geocentric Eudoxian model. It was finally in the second century CE that it was succeeded by a system which took from the best of what had gone before, like the work of Hipparchus, and yet went beyond them all in creating a complete cosmological system. Claudius Ptolemaeus (100 – 170 CE), an Alexandrian astronomer and mathematician produced the magnum opus of Greek astronomic thought in his thirteen-book Mathematical Compilation, more commonly known by its Arabic title, “Almagest” (lit. “greatest book.”). In it the geocentric system was completely rebuilt using eccentric rather than homocentric orbits, further complicated by the use of “epicycles” — small circular orbits centered upon the primary orbital sphere (the “deferent”), in effect creating a spiral motion. The Ptolemaic cosmos with the Earth at the center of a crystalline celestial sphere would be the definitive cosmology of the west and middle east for well over a thousand years. At the same time in China, beginning around 200 CE, the Earth was also considered a sphere at the center of the hun thien (“celestial sphere.”) — and by 500 CE it was the official astronomic doctrine of the state. Heliocentric interpretations of celestial motion have existed for nearly as long as geocentric doctrines, but never achieved mainstream success until the European Renaissance had reached its zenith. The early heliocentric theory of Aristarchus of Samos (310-230 BCE) for example, while considered to be of great significance today by historians, appears to have been of little note in antiquity though some of his other theories were of great import. It was the publishing of De revolutionibus orbium coelestium in 1543 by Nicholas Copernicus (1473 – 1543) that finally incited a revolution in the astronomic sciences. While the Copernican system was essentially a revision of the long established Ptolemaic system, it opened a new path for greater changes by those who would follow. This revolution has been commemorated in recent years by a trilogy of complicated astronomic wristwatches designed by contemporary horologist Ludwig Oechslin and produced by the house of Ulysse Nardin, to be described (incompletely) in association with their namesakes. This first shot in the revolution was a very simple but fundamental change to the cosmological model that had great repercussions outside of astronomy and into the realms of philosophy and religion. Copernicus added no new data, observations, or mathematical theorems, using the same methodology and information used by Ptolemy, but in this case to describe a heliocentric universe. Thus essentially an extension of the late Greek cosmological theories of the Ptolemaic period, he retained all of the same complexities like eccentric circular orbits and the necessary corrections provided by epicycles and yet more epicycles, and in all it had no greater predictive power than the Ptolemaic system — at most it rationally explained some of the previously inexplicable behaviors and relationships between some of the heavenly spheres. The once immobile Earth at the center of the universe was replaced by an immobile Sun, which in turn was orbited by the planets, and all of which was surrounded by the same crystalline Starry Vault in the Ptolemaic model. It was the ideas of an Earth in motion, of an Earth that was just one of a number of planets that had profound implications for mankind’s view of his place in the universe. With only the Moon still orbiting the Earth, we were now just a peripheral part of a larger whole, and not its center, and perhaps not its reason for being — and it is this specifically that challenged religious doctrine and well established philosophical thought. 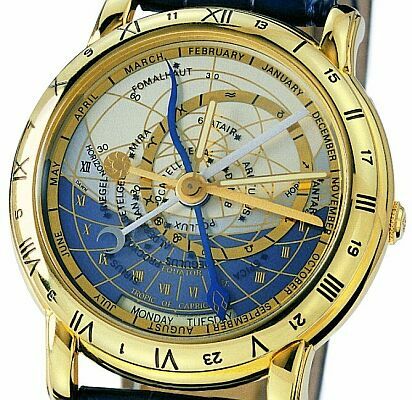 In honor of this first step in modern astronomic thought, specialty watchmaker Ulysse Nardin has produced the Planetarium Copernicus, a living model of the Copernican system, including the six planets known to exist during that period. All of the planet rings other than that of the Earth rotate to model the motion of those planets, and the symbolic earth rotates in its fixed position to model the orbit of the Moon. The outer perpetual calendar and zodiac ring turns precisely once every tropical year, and the “spider” graph inscribed on the crystal allows the calculation of various astronomic datum from it and the relative position of the planets. Of Ulysse Nardin’s “Trilogy of Time” the Planetarium Copernicus bears the closest ties to the work of its namesake. Further refinement of this new Copernican system was brought about by the work of mathematical astrophysicist Johannes Kepler (1571-1631). 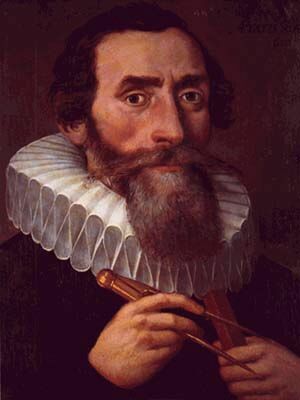 Kepler first encountered the Copernican theorem when he attended university in the early 1590s, wherein he became preoccupied with the six planets and their motions. His early ideas about cosmological geometry were codified in Mysterium Cosmographicum. in 1596, followed by the Astronomica nova in 1609 as he struggled with the complex legacy of Greek astronomical mathematics and their deviation from the unprecedentedly accurate observational data of Tycho Brahe, whom he assisted for a brief period. It was in the latter volume that he made his first breakthroughs while studying the motion of Mars: the eccentric elliptical orbit, and the variability of planetary velocity in orbit. In the Epitome of Copernican Astronomy (1619-1621) he universalized these concepts to the behavior of the other five planets, and finally in 1627 he produced the Tabulae Rudolphinae, which codified planetary motions into tables which allowed the prediction of the position of the planets for any given timeframe. By replacing the circle with the ellipse Kepler vastly simplified the Copernican model, and in so doing fathered the laws of planetary motion — finally putting to rest the byzantine astronomic methodology of epicycles and deferents of the preceding fifteen-hundred years. 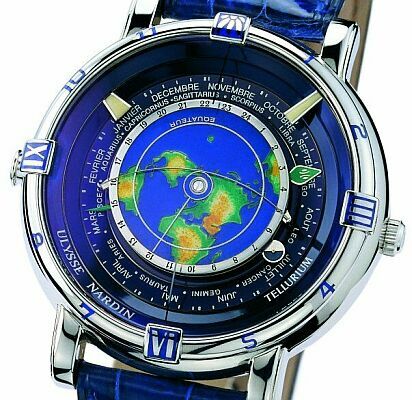 Ulysse Nardin’s Tellurium Johannes Kepler is I think a tribute to his Hamonicies mundi of 1619, an almost Pythagorean eulogy to the mathematical harmonies that exist within the celestial sphere, and which contains his third law of planetary motion. From the Roman earth-goddess Tellus, the Latin word “Telluris” signified Earth on Copernicus’ diagram of his system, and thus this “Tellurium” shows the complete harmony of the Earth within the solar and lunar context — graphically depicting what common perpetual calendars only whisper of. 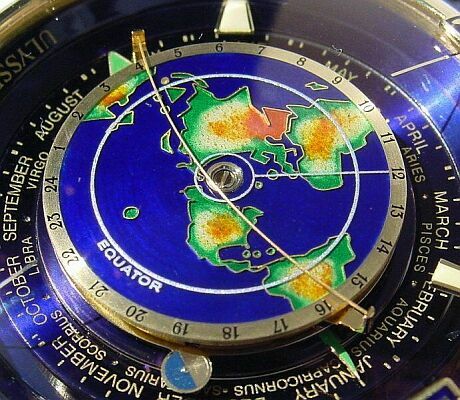 A cloisonn Earth depicted as viewed from the north pole rotates at the center while orbited by the Moon, which itself rotates to depict its phase. A spring overarching the earth disc demarcates the line of light and darkness in relation to the symbolic Sun fixed at 12 o’clock, as well as the times of sunrise and sunset. There are a host of additional astronomic indications and concordances including a perpetual calendar and zodiac ring akin to that of the Planetarium Copernicus, which brings to mind the significance of astrology in relation to the history and development of astronomical thought — it was astrology which made astronomy significant to the common man. The reasons for understanding the motions of the heavenly bodies was to better “predict” their influence upon the lives of men — from the times when the sun, moon, and planets were thought to be gods, and the kings of Babylon sought knowledge of their future in the signs of the heavens, to the time of Ptolemy who’s other great work the Tetrabiblios remains one of the definitive texts of astrology. For centuries royalty and nobility alike patronized astronomers and mathematicians specifically for this, and even Johannes Kepler worked as an astrologer for several years in the 1590s for the income it provided, between his university years and his recruitment by Tycho Brahe. Astrological tasks were also his primary duties as an imperial mathematician to the Court of Rudolf II of the Holy Roman Empire in the early 1600s. A contemporary and acquaintance of Kepler and a fellow Copernican, Galileo Galilei (1564-1643) made important contributions to physics and astronomy that began a fundamental shift in scientific thought from the “natural philosophy” of Aristotle to an ever more demanding empiricism — indeed he would spend much of his life in a war of words with the Aristotelian establishment. Working as a professor of mathematics at universities like those in Pisa and Padua, he focused primarily on physics, making great strides in mechanics that included his law of falling bodies. 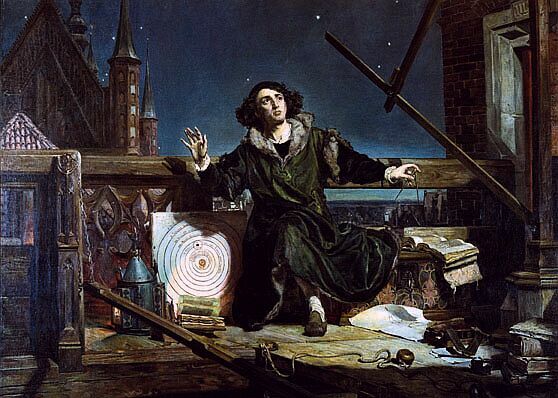 It wasn’t until about 1595 that he became interested in astronomy and the Copernican model — and we should note that his Aristotelian nemeses supported the Ptolemaic model. In 1609 Galileo did some pioneering optical work in building his first telescope, quickly improving upon his own design with a more powerful 30x telescope — even grinding the lenses himself. Within a year he had made many astronomic observations which challenged long established beliefs: a cratered Moon that was supposed to be a perfect sphere, four moons around Jupiter (which provided further support for the Copernican idea that the Earth was not the center of all celestial motion), as well the discovery a host of previously unknown stars. Under the patronage of Grand Duke Cosimo de’Medici he published his observations in Sidereus Nunicus (1610), which appears to have been denounced by everyone except for Johannes Kepler who wrote a treatise in support of it. 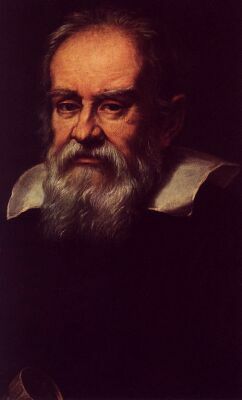 Galileo did eventually receive some confirmation and support from Jesuit astronomers, after they finally acquired a telescope of power equivalent to Galileo’s. Despite his detractors he continued to make new astronomic observations, many of which supported Copernican theory; as published in his Letters on Sunspots (1613). 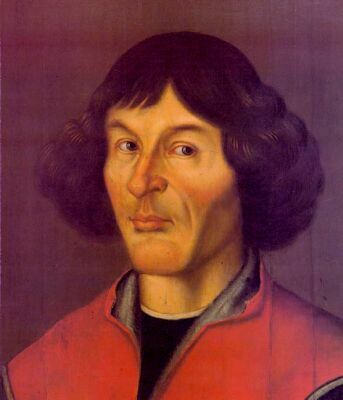 Copernican ideas which had only been of limited interest amongst academics to this point — probably due to the lack of evidence supporting it — began to gain negative attention from the powers-that-be, and Copernicus’ De revolutionibus was banned by the Holy Office of the Roman Catholic Church in 1616. Though Galileo persuaded Pope Urban VIII to permit him to write on the Copernican system, his Dialogo dei Due Massimi Sistemi (1632) comparing the Copernican and Ptolemaic systems led to his trial by the Roman Inquisition, the banning of his book, and his public adjuration of the Copernican system. Thereafter he concerned himself solely with the problems of mechanics, publishing his Discourses on the Two New Sciences in 1638. 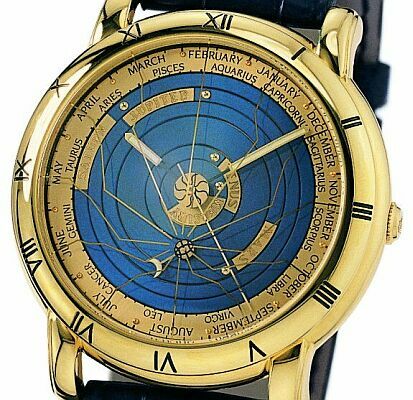 Actually the first watch of the Trilogy of Time collection, the Astrolabium Galileo Galilei was introduced in 1985. Astrolabes were important tools for the astronomers and astrologers of the Middle Ages and Renaissance, originating in Islam in the 8th century CE. Refined astrolabe technology spread west with Islamic conquests into Europe and North Africa, coming into common usage in Europe by the 13th century. Growing ever more popular, their manufacture became an industry in Germany and spread throughout the continent. A calculational device, the astrolabe tracks the apparent position and motion of the celestial spheres relative to the observer’s location on the Earth and can therefore predict various concordances, including the times of sunrise and sunset, the phases of the moon, and lunar and solar eclipses. Like traditional European astrolabes, the Astrolabium also bears a margin with 24-hour markings for reading local time, something which their Islamic counterparts lacked, and even does so in the traditional fashion with noon marked at the 12 o’clock position and midnight at the 6 o’clock position. A standard planispheric rather than a universal astrolabe, the dial must be factory set for the latitude of the observer. Astrolabes continued to be used up until the time of Isaac Newton (1643-1747), when they were displaced by ever more powerful astronomic instruments, which in turn brought greater and greater changes to our understanding of space and time, and further shifting of our place in the universe. Beginning with the work of William Herschel (1738-1822), we have come to understand that our Sun is not the fixed center of the universe but merely one star in a galaxy of billions of stars, in a universe of billions of galaxies. In startling contrast to the age of legends when the heavens were held up by the Titan Atlas and Apollo crossed the sky above us in his fiery chariot, and when the lives of men and heroes were playthings for the gods, we now find ourselves “far out in the uncharted backwaters of the unfashionable end of the Western Spiral arm of the Galaxy…,” on “…an utterly insignificant little blue-green planet whose ape-descended life forms are so amazingly primitive that they still think digital watches are a pretty neat idea” (Adams 5). Adams, Douglas. The Hitchhiker’s Guide to the Galaxy New York: Bonanza Books, 1979. All portraits are within the public domain. Planetarium Copernicus, Tellurium Johannes Kepler, and Astrolablium Galileo Galilei courtesy of Ulysse Nardin, Inc.